The Commons is a music and performance showcase that has been doing a series of public works. Their goal is to bridge the gap between classical and contemporary performances. 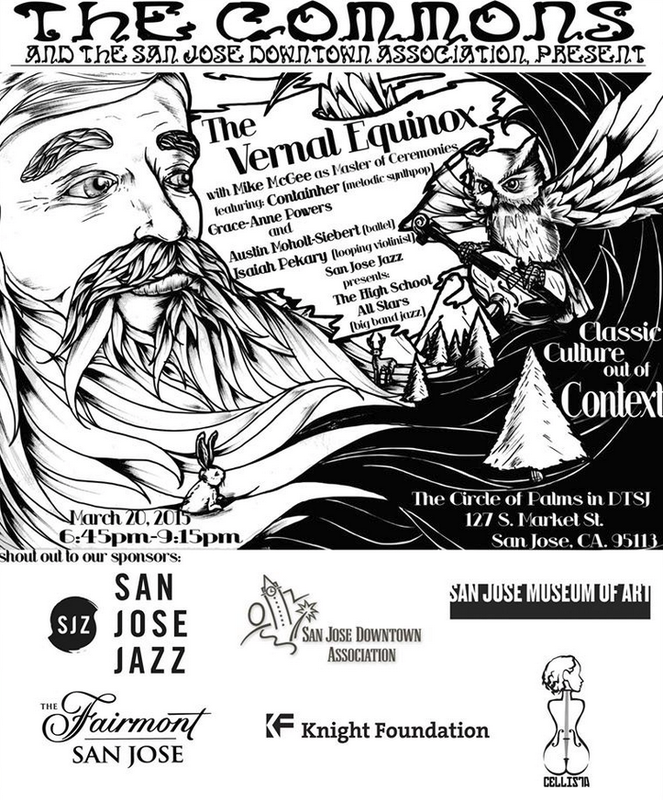 Their latest show called The Vernal Equinox and is tonight at the Circle of Palms in Downtown San Jose (between the San Jose Museum of Art and The Fairmont Hotel). The show is funded by a Knight Foundation grant and is done in partnership with the San Jose Downtown Association, The San Jose Museum of Art, The Fairmont San Jose, Lazy Cocoon Sound, and Cellista Music. For more information, check out the Facebook Page over here.